Chebulic gyroplane is a wonderful herb and is known as long-life elixir. It is the fruit of a middle-sized or large tree which has egg-shaped 10 to 20 cm long leaves and dull white flowers in spikes at the end of its branches. The fruit, which is 2 to 4 cm long, has five distinct ribs on its body. Chebulic myroblan is indigenous to India. It has been used in Indian system of medicine for a very long time. The physicians in ancient India used it in the treatment of diarrhoea, dysentery, heart-burn, flatulence, dyspepsia and liver and spleen disorders. There is an old Indian proverb which says, "If one bites a piece of haritaki everyday after meals and swal10ws its juice, he will remain free from al1 diseases." The fruit of chebulic myroblan contains an astringent substance. The astringency is due to the characteristic principle chebulinic acid. It also contains tannic acid, gallic acid, resin and some purgative principle of the nature of anthraquinone. Among its many medicinal virtues, is its use as a mild, safe and efficacious laxative. The drug helps arrest secretion or bleeding and strengthens the stomach and promotes its action. It is useful in correcting disordered processes of nutrition by which the organism ingests, digests, absorbs, urilises and excretes food substance and restores the normal function of the system. This herb is one of the ingredients of the famous Ayurvedic preparation triphala which is used in the treatment of enlarged liver, stomach disorders and pain in the eyes. The juice of chebulic myroblan is highly beneficial in the treatment of acidity and heart-bum. It neutralizes the acidity in the stomach, if taken after meals. For better results, this juice should be combined with the juice of Indian gooseberry (amla). Chewing a piece of chebulic myroblan is an age-old remedy for heart-burn. 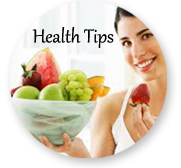 A piece of the fruit chewed every night, will reduce asthmatic tendencies to the minimum. As a mild laxative, chebulic myroblan is useful in constipation. Either the pulp of 2 or 3 fruits with a little rock salt or a decoction of 6 fruits and 4 grams of cloves or cinnamon, should be taken daily at bed time to relieve constipation. This herb is also an effective remedy for chronic diarrhoea and dysentery. Four grams of the pulp of the unripe fruit is given with honey and aromatics such as clove and cinnamon twice a day in the treatment of these diseases. Chebulic myroblan is a popular remedy for piles. The fresh fruits should be fried to a golden brown colour in castor oil, powdered and stored. Half a teaspoon of this dissolved on the tongue at bedtime brings about normal bowel movement in the morning and its astringent property heals the pile masses. The use of a diluted decoction of chebulic myroblan is a popular gargle for mouth inflammation. The paste of the fruit mixed in thin buttermilk also makes a very effective gargle in gum inflammation. The powder of the fruit when applied directly on the painful tooth gives relief. 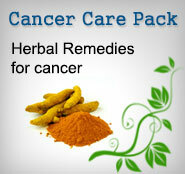 The herb is very useful in skin disorders like chronic ulcers, wounds and scalds. A fine powder of the fruit mixed with carrion oil-made from fat of an animal-makes an excellent ointment for bums and scalds. Chebulic myroblan is also used to cure whitlow. The fruits are roasted, -powdered and sieved. This powder is mixed in dilute tamarind water to make a fine paste which is applied on the infected finger. The astringent action of chebulic myroblan combines with the acidic effect of tamarind water to dry up infection. A dilute decoction of chebulic myroblan used as an eye wash helps to relieve eye congestion. The fruit being astringent, decreases swelling and inflammation. A thick paste of chebulic myroblan applied over the swelling is a good remedy for treating mumps. A decoction of the herb is useful in vaginal irritation and inflammation. It should be used as a douche to wash the vulval parts. When there is thick white discharge, washing the part with a decoction made with neem leaves and chebulic myroblan fruits will help greatly. Precautions: The use of chebulic myroblan should be avoided during pregnancy as it may cause abortion. Hair Tonic: The herb is useful as a hair' tonic. A paste of the fruit is boiled in coconut oil till its essence completely dissolves in the oil. This oil used regularly gives vitality to hair. Cheublic myroblan docoction is a popular hair tinse which many, Indian women use to blacken grey hair. Sweets and pickles based on chebulic myroblan are commonly used in Indian homes. They are believed to be digestive and mild laxative. This product has its roots in Ayurveda-ancient herbal healthcare system of India . According to Ayurveda the balance of 3 energies- Vata, Pitta and Kapha in the body is a disease free state and their imbalance cause diseases. Irregular life style and wrong dietary habits leads to vitiation of "Vata" and "Pitta" which causes chronic constipation and acidity according to Ayurveda. Triphala alleviates both Vata and Pitta, thus relieves constipation naturally.